If you are looking for an awesome dive light, this is it! MAKO Spearguns has teamed up with the world’s leading dive light maker, OrcaTorch to offer this amazing dive light. It delivers a HUGE 1000 Lumens! 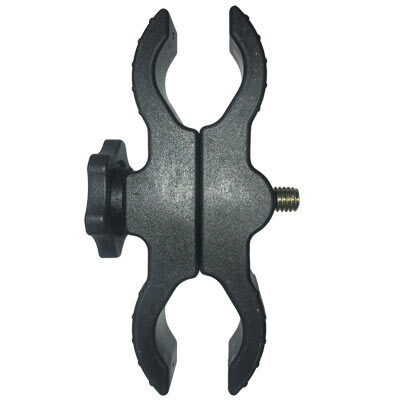 With 70 degree projection and 8 degree center beam, and is rated to a depth of 150 meters. The MAKO 1000 Lumen Dive light runs on a rechargeable (one 18650 battery) for 5 hours 45 minutes in Low mode, and 2 hours 5 minutes in Bright mode. It measures 5.75” long and has a push button on/off magnetic tail switch to easily control the three modes (bright, low, strobe). 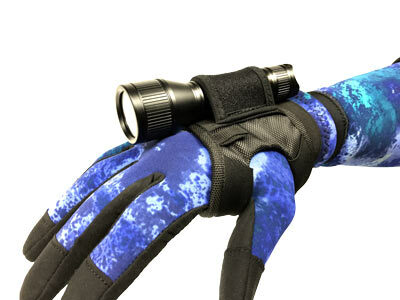 Operate and store your dive light in hands free mode with this awesome "Wrist Glove Flashlight Holder". The MAKO Spearguns 1000 Dive Light Wrist Glove is fully adjustable with the Velcro strap and securely holds your flashlight in place while diving. 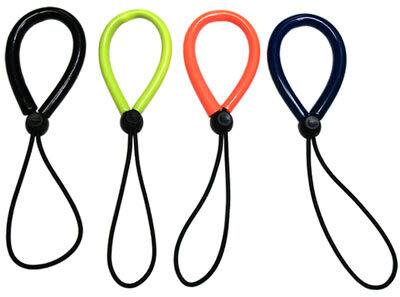 These elastic lanyards stretch to allow you to pull your hand free when needed. WARNING! NEVER ATTACH A NON ELASTIC LANYARD TO YOUR COLLECTION GEAR!! If you get your flashlight caught on something, you must be able to pull your hand free from your lanyard. Not all lanyards are elastic. If your lanyard is not elastic, DO NOT USE IT! Available in black, neon yellow, neon orange and blue. Perfect for Scuba divers who need a heavy sinking speargun! 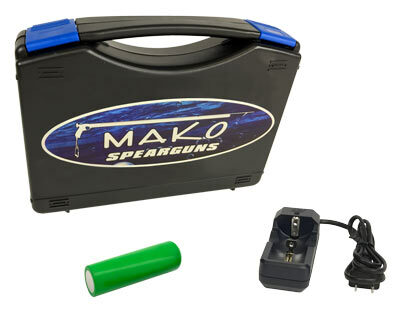 The MAKO Spearguns Heavyweight Speargun Flashlight bracket fits on any speargun and mounts the super bright MAKO 1000 Lumen dive light right to your speargun barrel. If you hunt in rocky areas, you will shoot more fish with the MAKO Spearguns Heavyweight Speargun Flashlight Bracket and light attached to your speargun. This is a nice bright and compact light. It's also sturdy. This is a great little light for the price. I love the push button style as opposed to the twist on type. It is easier and faster to quickly check in holes or under ledges. Nice rechargeable lithium battery as well. It's everything you'd expect from Mako - great price for a great product with fast delivery and outstanding customer service. The light has a bright center focus and a beam wide enough to illuminate every hole and cave I explored. The glove was secure and easy to use. I used the light/glove in heavy kelp and heavy surf for hours - the light was bright the glove was tight and the battery lasted all day! Highly recommended!! !